On September 26-27, the Slovakian capital of Bratislava hosted an informal meeting of European Union defense ministers and NATO representatives, who discussed the organization’s role in Europe. The main topic on the agenda was an updated European strategy for defense and security. Participants also discussed a German-French initiative to expand military cooperation within the EU. The EU Council is expected to approve concrete steps on the issue in December. Amid the upcoming reforms, there are problems concerning the duplication of defense institutions. The key question to discuss at the meeting was whether the new European defense mechanisms would interfere with NATO. The contemporary challenges prove that NATO’s interests do not always correspond with European needs and it is important to establish a temporary European military staff, Arnaud Danjean, a French lawmaker at the European Parliament, said. "Despite the fact that NATO remains the cornerstone of European security, there are serious differences between the EU and the alliance. 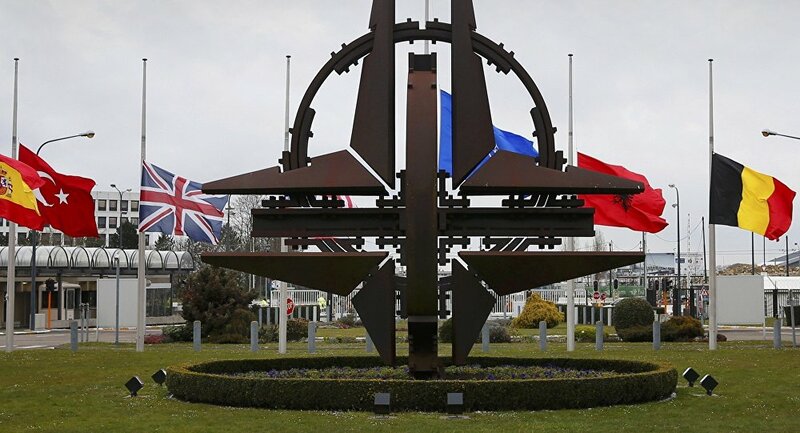 There were no problems until non-European NATO members started to reject initiatives to build up Europe’s defense capabilities, either within the alliance or without it," the lawmaker told the Russian newspaper Izvestia. According to him, NATO should admit that it cannot be omnipresent, especially in the regions where Brussels has concrete interests and obligations. "Currently, Europe is facing unprecedented security threats, including terrorism and cyber-attacks. We can no longer rely only on NATO. Europe should take the initiative to resolve these security issues. Europe’s interests are at stake, rather than the interests of the United States or Turkey," Danjean pointed out. Earlier, President of the European Commission Jean-Claude Juncker said that in terms of defense the EU can no longer depend on one power and the capabilities of certain states. He called for the EU country members to unite their defense capacities. Moreover, this year Brussels for the first time unveiled funding for defense-related R&D. The European Commission will invest €90 million in defense research in 2017-2019. Despite the fact that the sum cannot be compared to NATO defense spending, this is the first practical step towards building up Europe’s security. European defense ministers noted that financing a common EU defense budget will not replace spending on national armed forces. Earlier in September, French and German military experts said that the Schengen area needed protection. They proposed the establishment of a joint command center to organize global military operations and peacekeeping missions. Experts also proposed that the European Defense Agency (EDA) must coordinate those activities. The EDA will implement the tasks established by the updated defense strategy. At the same time, the agency will be in dialogue with NATO to coordinate efforts and avoid the duplication of functions, the EDA press office told the newspaper. A European defense strategy was adopted for the first time in December 2003. The document designated the EU’s foreign policy and security policy. In June, Brussels unveiled an updated strategy which described relations with Russia as the "key global challenge" and labelled Moscow as an important partner of the EU. By the end of the year, Brussels will work out practical proposals to implement the updated strategy. However, it is already clear that the French and German proposals by will lay in the basis of the new strategy. They have been supported by Belgium, the Czech Republic, Hungary, Luxembourg, the Netherlands, Poland and Sweden. "History reveals that Franco-German proposals have always been a compromise approved by all EU members. Actually, France and Germany are the backbone nations in the EU. Now, at a time when Europe is facing terrorism, instability and the migrant crisis, we need more efficient security and defense measures," Yann-Sven Rittelmeyer, an analyst at the European Policy Center think-tank, told Izvestia.